Here are four great cards using fabric... none of which require a needle and thread! 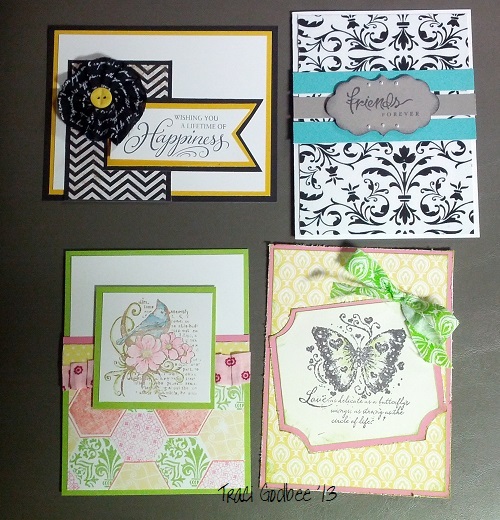 The top two cards use the For Always fabrics and the bottom two cards use the Chantilly fabrics. Club members can choose to take this class at a discounted rate of only $4 AND anyone placing an order of $25 or more at the class can take it FREE. Kits by mail will begin shipping Monday March 11th and will include full color photos and assembly instructions. Stamps will ship seperately through Close To My Heart.